Inspired by Lewis Carroll's Through the Looking Glass. 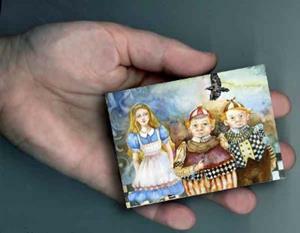 I enjoy painting my interpretation of Alice and her adventures. 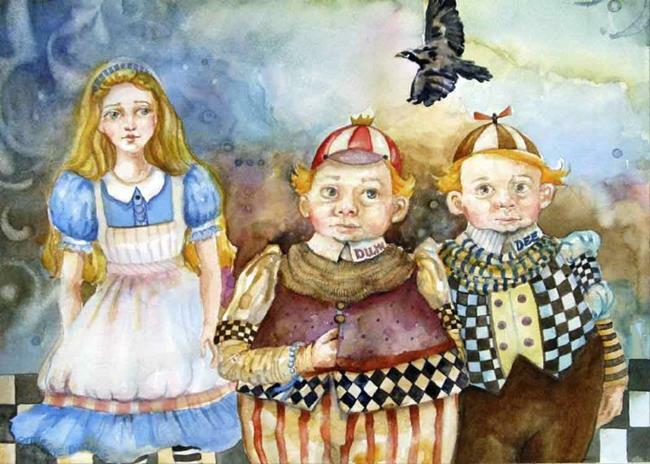 Alice and her newly found acquaintances Tweedledum and Tweedledee look like they are not quite sure what to do. I think Tweedledum is very bored with the conversation. If it weren't impolite, I think Tweedledee would twiddle his thumbs. This painting is in watercolor on 300" arches watercolor paper. This is my entry for this month's word 'bored'. Ho hum.